In Western Australia we only race two age divisions – Junior and Premier. Our races are over 200, 500, 1000 and 2000 metres. The format is usually the 2,000 metre turn race is run the same day as the 200 metre races and the 1,000 metre straight line races run on the same day as the 500 metre races. Competition racing is usually once per month and is held at Champion Lakes near Armadale. Champion Lakes is a purpose built aquatic sports venue catering for many different sports. The WA Competition racing is organised by the State body Dragon Boating WA. The Western Australian racing season runs from November to April and is followed by the Australian National Championships. 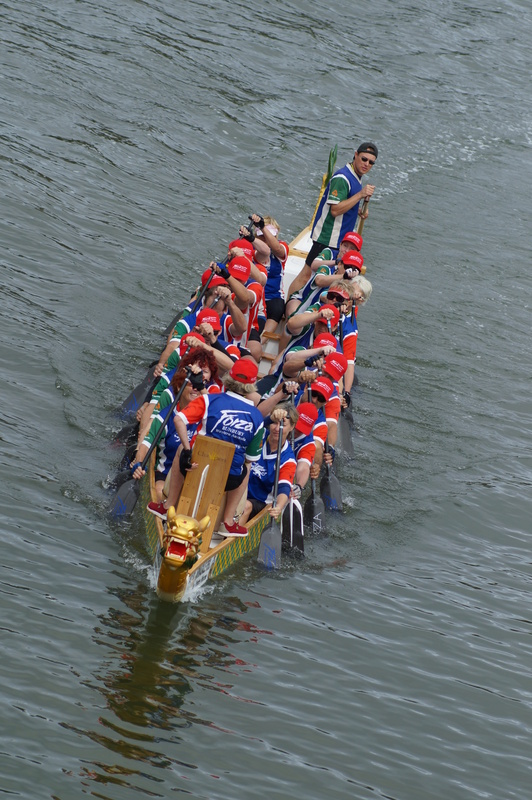 The Australian National Championships is run by the host State and the Australian Dragon Boat Federation (AusDBF). The various States and Territories that have suitable venues and the organisational capacities take turns at hosting the event. The National Championships have been held in Perth in 1995, 2004 and 2008. They return to Perth in 2015. * Club versus Club World Championships. These events are run by the host nation and the International Dragon Boat Federation (IDBF).